You see a map that displays territory of Kazakhstan. interesting map of Belusovka calibrated download for free. detailed map of Zimovskoye 1 cm to 1 km for you. actual map of Zashchita и OziExplorer calibration presented. actual map of Vinnyy 1 cm to 1 km displayed. topographic map of Verkhne-Ul'binskoye и OziExplorer calibration download for free. map of Ul'ba-Perevalochnaya for you. topographic map of Tarkhanka 1 cm to 1 km for gps. interesting map of Mikhaylovka и OziExplorer calibration for gps. free map of Bobrovka for gps. 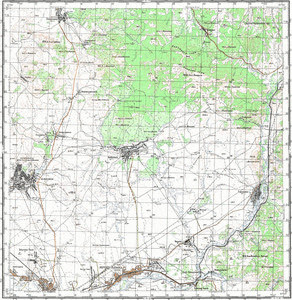 free map of Belokamenka и OziExplorer calibration download for free.